Food retail executives see Amazon as a primary disruptor and competitive threat in a fast-changing grocery industry, a new survey finds. Of 200 food retail executives polled, 83% deem Amazon’s food offerings as a threat to traditional grocery stores, and 32% consider Amazon a large threat, according to a study by cooling technology provider Phononic. What’s more, 35% reported that their stores schedule sales to compete with Amazon Prime Day discounts. Forty-two percent of respondents named Amazon as the greatest threat to grocery stores. Also flagged as chief threats were online food delivery services (31%), membership clubs (10%), online meal delivery services (8%) and hypermarkets (5%). When asked to name the leading disruptors in retail grocery, 54% of executives cited Amazon, followed by Walmart (41%), online food delivery services (25%), Kroger (10%) and Target (8%). “This is interesting because online food delivery presumably has room to disrupt the industry further, based on the fact that two-thirds of Americans have yet to try a food or meal delivery service,” according to the study, titled “How Will Grocers Make the Store of the Future Today’s Reality?”. Half of food retail executives surveyed think supermarkets still serve a basic function and don’t require drastic changes, and 92% feel that consumers are satisfied with the stores where they regularly shop for groceries. Still, only 25% of executives said they believe consumers are “very satisfied.” And perhaps reflecting that concern, 71% agreed that if grocery stores “don’t enter the modern age,” people will seek for other ways to purchase their food. The food retail executives polled seemed inclined to agree. 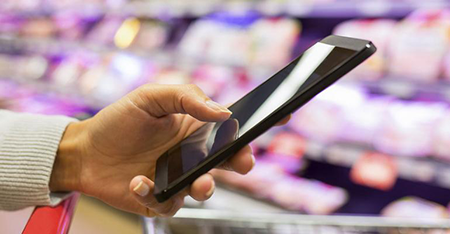 Forty-six percent said supermarkets “haven’t changed in decades” and must adapt to today’s marketplace, and 49% believe grocery stores haven’t yet figured out how to use technology as well as other retailers. Phononic noted that its study, conducted by Regina Corso Consulting, also found some “cognitive dissonance” among food retailers in terms of how well grocery stores are getting up to speed on the technology front. For example, 70% of executives think their company is proactive in implementing new technologies to improve customer experiences, and 60% said their organizations invest enough in in-store technology. Also, 82% believe supermarkets have come a long way over a short time, even if they’re not as tech-savvy as other retailers. To that end, nearly nine in 10 food retail executives said their company has worked to optimize stores’ layouts (87%) and instill a more modern feel to shopping (86%). And 82% indicated that it helps to offer more hot and cold prepared food choices. Thirty percent of store executives reported stocking their checkout lanes with refrigerated products, and 27% are putting fresh fruit there. More than half of those surveyed believe having more grab-and-go meals at checkout would be a good strategy. Similarly, respondents foresee growth in the frozen category, the study showed. Seventy-four percent think sales of frozen foods will continue to rise and become more popular. And 53% expect that in the near future frozen and refrigerated goods will be distributed throughout the store, instead of just at the back. With consumers seeking more fresh products and added convenience, as evidenced by increased sales in prepared, refrigerated and frozen foods, grocery store operators expect the rising trend toward micro-visits to step up, the study pointed out. Seventy-two percent of food retail executives think the supermarket layout is changing to accommodate micro-visits. Looking ahead to the next year, executives anticipate transformations in-store. Overall, 18% said self-checkout and/or no formal checkout will be the biggest change. The same percentage cited delivery as the chief change agent. Those were followed by online ordering (17%), increased use of technology (7%), more pickup/delivery options (5%) and healthier food choices (5%). Eighty-five percent of food retail executives predicted that by 2023 more brick-and-mortar stores will offer ways to auto-replenish basic items. Meanwhile, 81% expect pop-up supermarkets in urban and rural areas to make it easier to shop. 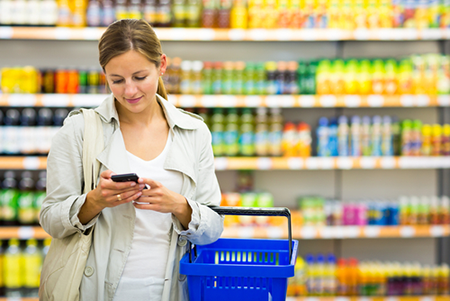 Sixty-four percent believe most grocery stores will become checkout-free. Going forward, supermarkets also may serve another public function: 65% of those polled believe grocery stores could become more of a community social gathering place like restaurants and bars, which would open up opportunities to generate impulse purchases.